This paper analyses the governance-development nexus by using data from up to 160 countries during the period 1996-2015. Development is proxied by different socio-economic indicators which contribute to development; and the quality governance is measured by the Worldwide Governance Indicators (WGI). Our results confirm that the presence of Granger causality is not homogeneous across country groups but they do not entirely support previous findings from the literature suggesting that the relationship between institutions and development vary with the level of development. 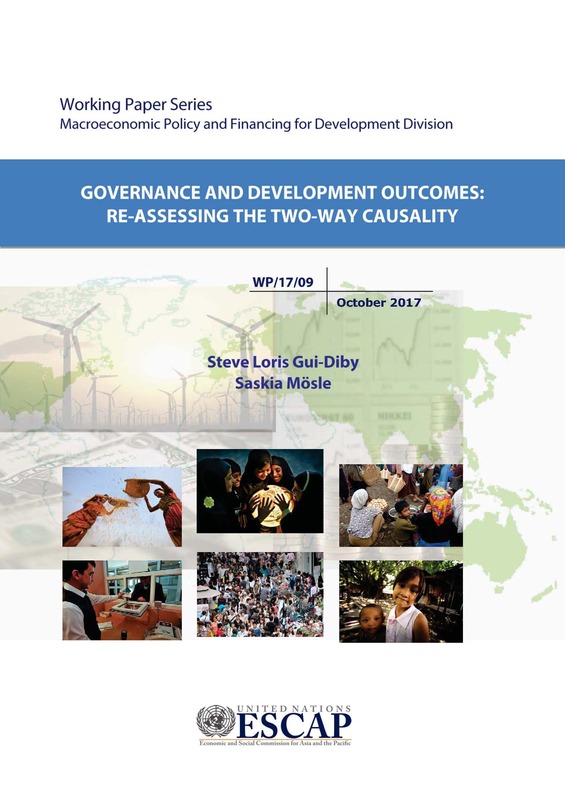 Key results are as follows: (i) Granger causality analyses between GDP per capita and governance indicators show mainly uni-directional relationships; (ii) overall, all dimensions of governance Granger-cause education outcomes, particularly the access to education infrastructures measured by the gross enrolment rate in secondary school; (iii) while the Granger causality analyses of FDI with WGIs show only unidirectional relationships, the direction of causality may change according to the level of development; and (iv) for tax revenues and governance, there is two-way Granger causality in low income countries and LDCs for respectively rule of law and government effectiveness. Furthermore, strong evidence is found on the role of governance to determine tax revenues across all income groups.